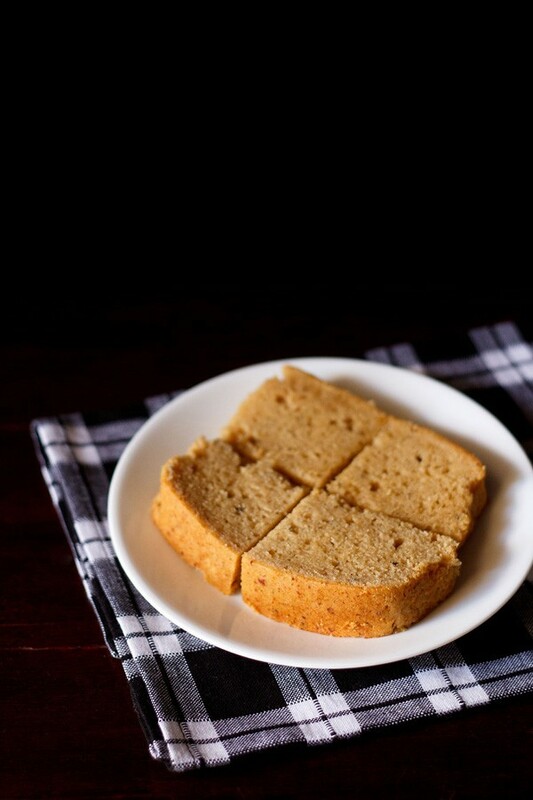 eggless mawa cake recipe with step by step photos – a rich and delicious cake made with mawa (evaporated milk) and whole wheat flour/atta. mawa cakes and mawa cupcakes hold special memories for me. one of the schools which i studied in, was a hop skip jump away from ahura bakery in andheri west, mumbai. after the exams or just before the holidays would begin, we would as a custom, buy mawa cakes from this popular parsi bakery. it was not only mawa cake but some other baked goodies as well. another bakery close by would be merwans. since merwans was a just a bit far away, we would usually opt for ahura bakery. this habit of buying from irani & parsi bakeries continues even today. while coming from my college and later office, i would sometimes, hop to either of the bakeries and do buy the mawa cake and some other pastries. the cakes at times would be warm and not to forget the ladi pav which were sold like hot breads, literally. even sometimes a visit to south mumbai, would see me buying cakes or other baked goods from the irani & parsi bakeries based in grant road, fort and colaba. bun maska and chai from these bakeries is still one of my quick, go to breakfast or brunch. some years ago, during my visits to pune, i would always unfailingly buy mawa cake and shrewsbury biscuits from kayani bakery. i would have eggs then in my diet. folks back at home would liked the shrewsbury biscuits. but i was not fond of them. i felt them too sweet for my taste. i would even pack shrewsbury biscuits for friends and office colleagues. i do feel saddened that many of them of the irani & parsi bakeries and cafes, have closed their shops in mumbai as well as in pune. a part of the heritage i grew up with, is getting lost. at any day, i would always prefer to buy my quota of breads and cakes from bakeries, rather than buy them from air conditioned chic shops in malls and the likes. the mawa cake i have had from these bakeries were just amazing. 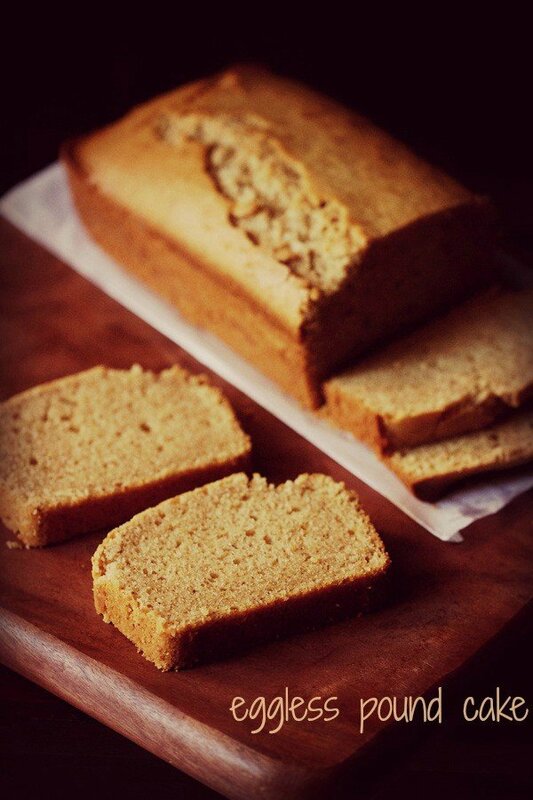 the cardamom scented cake with a caramelized milky flavor used to be a special treat for me and my sister. 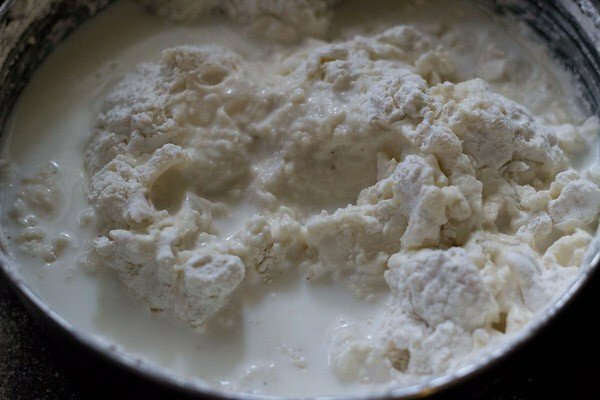 mawa is basically dried milk. 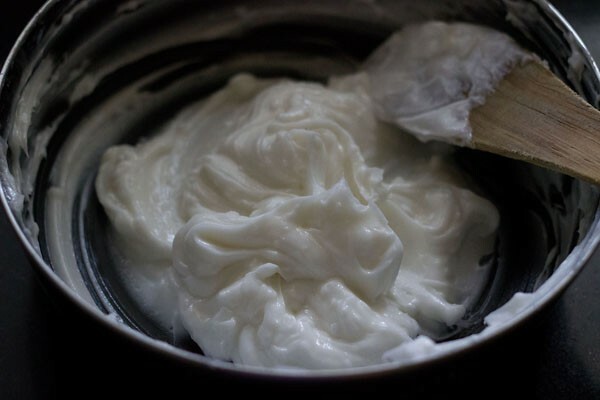 in our college days, we would call it evaporated milk, as the all the liquids & moisture is evaporated, by continuously simmering the milk, till you just get the milk solids remaining in the pan. to make this cake, i got the mawa from the shop. this was a soft crumbly kind and did not require any cooking. 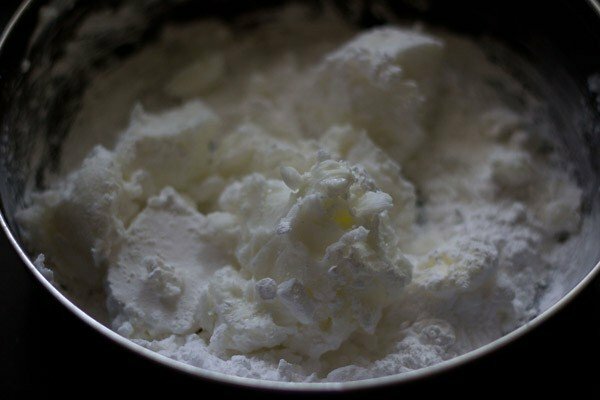 if you have the hard types, then please cook till the khoya softens and then add it to the cake batter. this mawa cake recipe is my tribute to the mawa cakes made and served by the various irani & parsi bakeries in mumbai. this is my own recipe. eggless baking at home often with its share of hits and disasters, has made me pretty good in baking cakes. 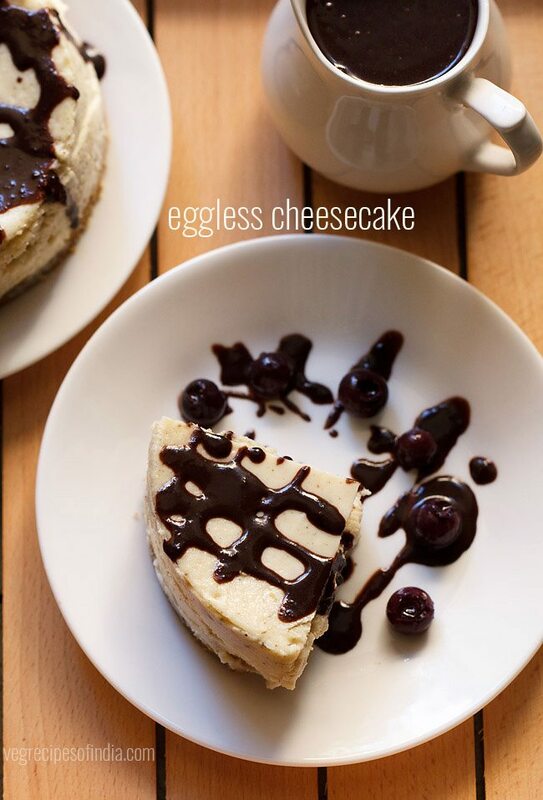 this recipe is a lighter textured cake since no eggs are added. the original ones are a bit dense. 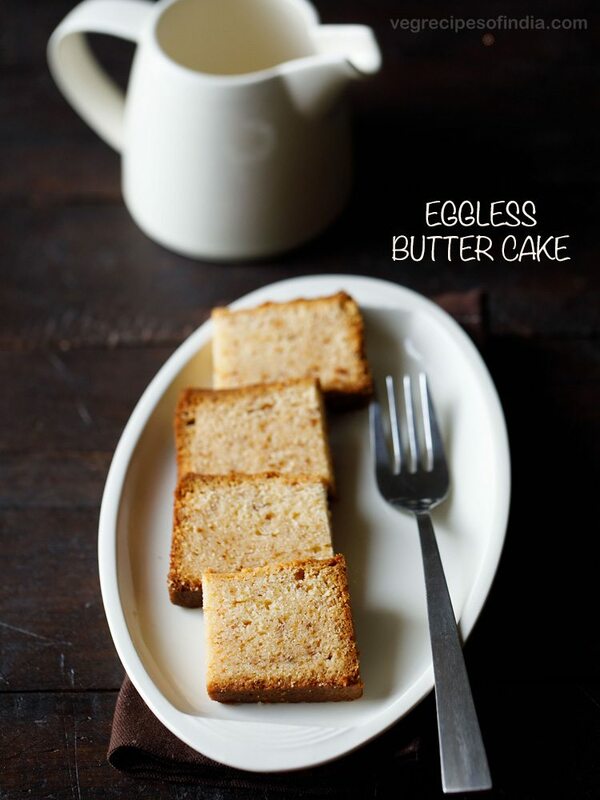 the taste of this one, is more like a buttery cake with the flavors of the mawa coming through. i have kept the recipe basic, like the ones made in the irani bakeries. 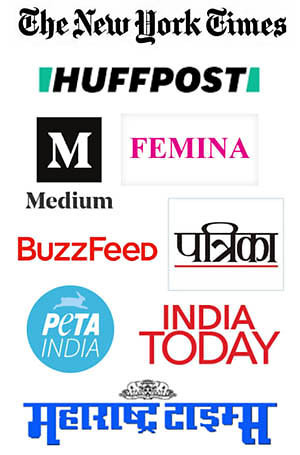 there is no addition of nuts or saffron or any spice, besides cardamom. however, if you really want some exotic touch to the cake, then please go ahead and add your favorite nuts and saffron. i made this mawa cake twice. once with all purpose flour and then with whole wheat flour. both times the cake was a success and a hit at home. 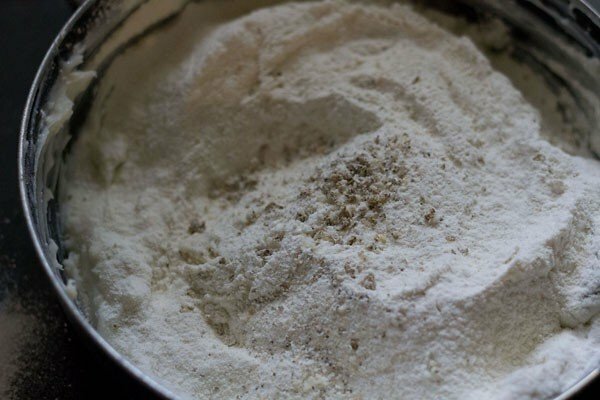 so you can make the cake with any of these flours or in half-half ratio. i also made cupcakes from the same recipe, though i did not take pics. the cupcakes got over quickly in no time. so, you can make even make cupcakes from the cake batter. the cake should get browned from top and the toothpick should come out clean when you insert it in the cake. when you taste the cake, it should not stick to your mouth or palate or teeth. this means that the cake need some more baking. if this happens, then place the cake back in the oven and continue to bake for some more minutes. about 5 to 8 mins. in case, the top of the cake starts getting browned quickly, then place a butter paper or aluminium foil on top of the cake. apart from reducing the quick browning, this will also not make the top layer crusty. 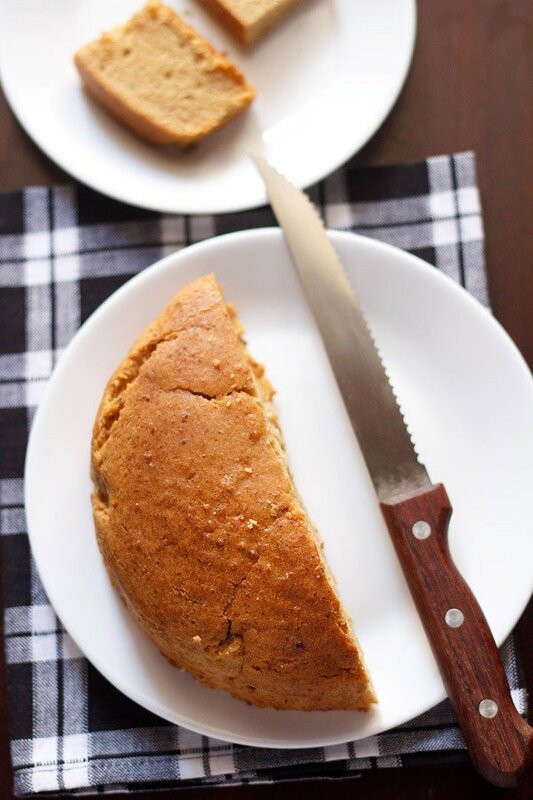 mawa cake is not your everyday cake. 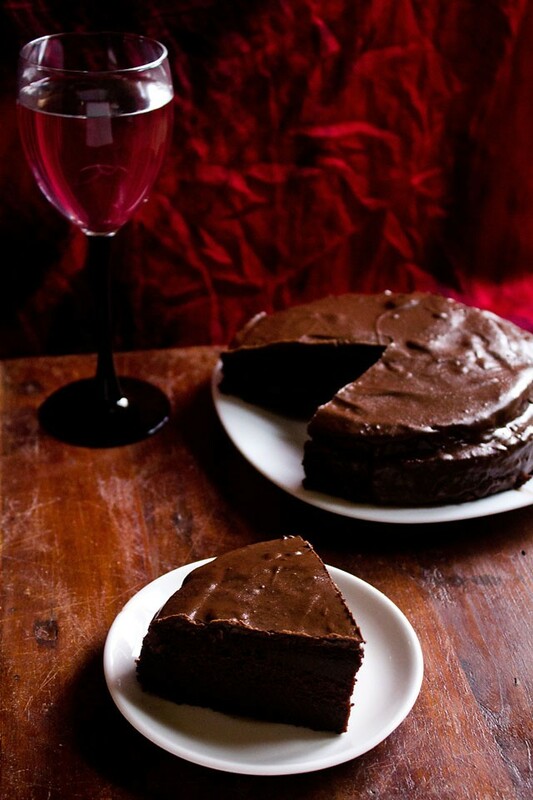 the cake is rich, so i would suggest you to make it on special occasions or parties. there is no need to do any kind of frosting or icing on the cake. the cake tastes good as it is. simplicity at its best. 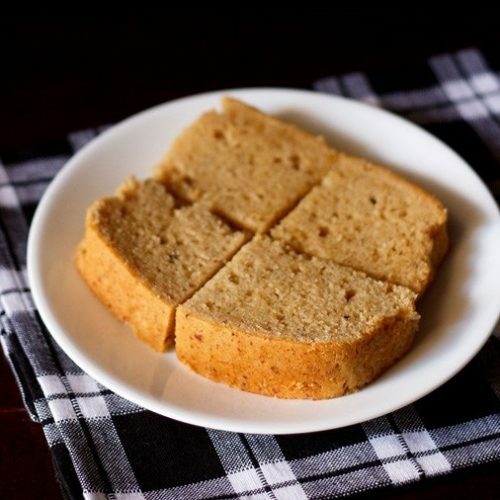 serve mawa cake with tea or coffee or for high evening parties. 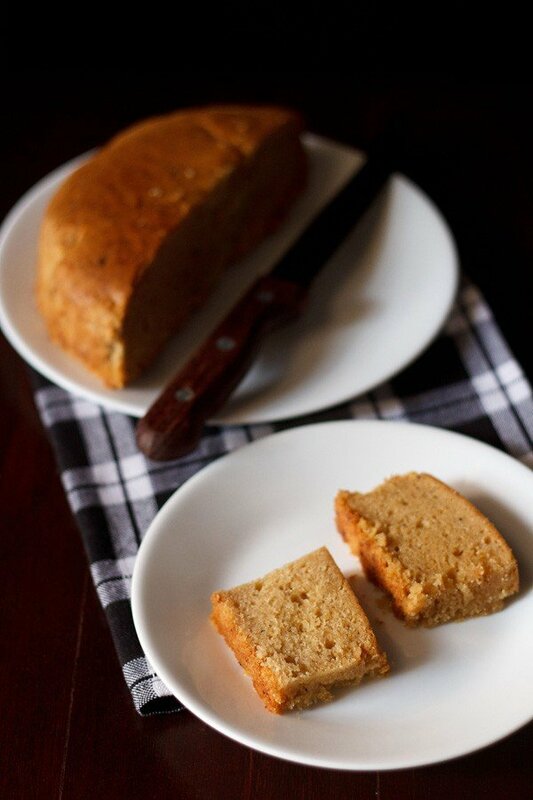 the pics are a mix of both the mawa cakes made with whole wheat flour and all purpose flour. 1. take butter and sugar in a bowl or pan. 2. cream butter and sugar till light and fluffy. 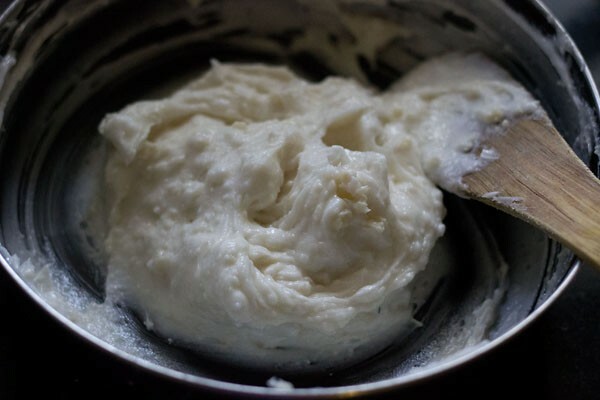 due to habit, i still cream butter and sugar with a spatula (as thats how we were trained and the habit is still there). 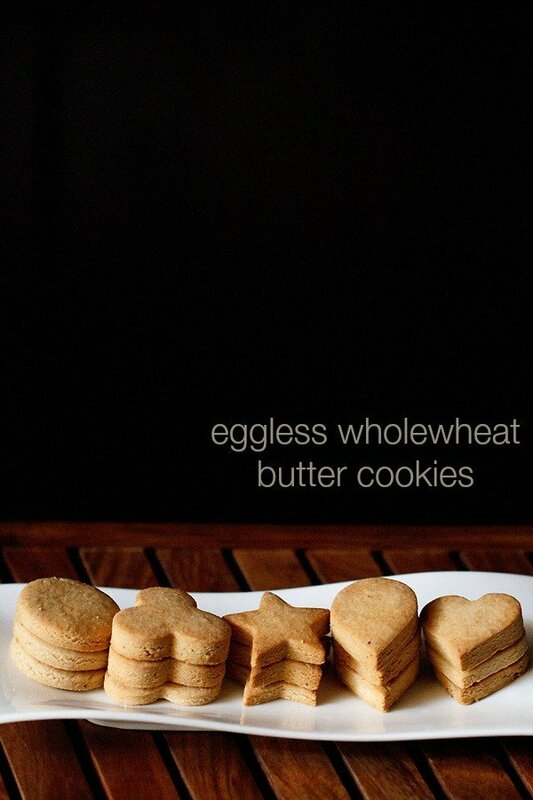 but to make things easy, you can cream them with an electric beater or in a stand mixer. 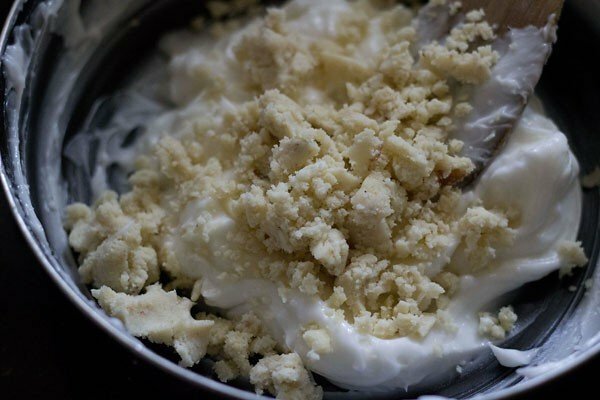 4. mix the crumbled mawa with the creamed butter-sugar mixture. mix the mawa very well. 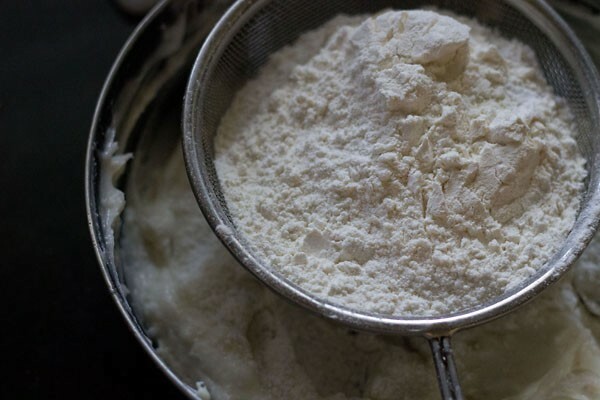 5. next sieve the flour with baking soda and baking powder directly into the bowl. 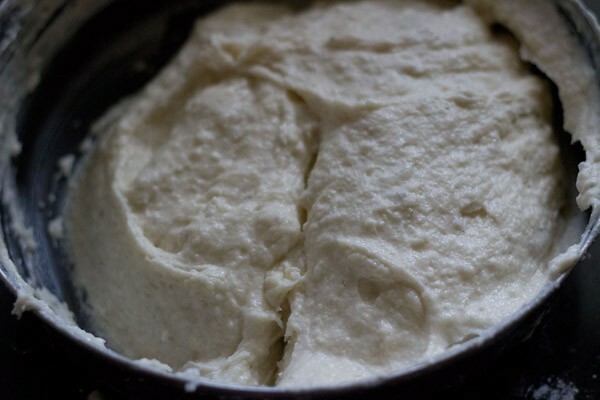 8. fold everything till the flour, milk and cream are incorporated well in the cake batter. 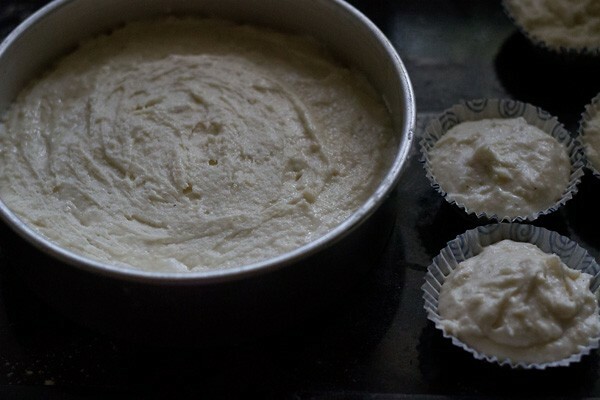 9. pour the batter in a greased or lined round pan of 7 to 8 inches or in cupcake liners or pans. 10. bake in a preheated oven at 180 degrees for 45 to 1 hour till the cake is completely done. 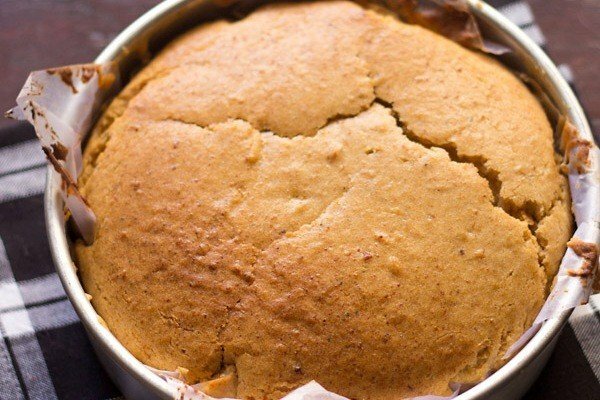 the baked mawa cake below. the cake cracked on the top, as the electricity conked off, right after 15 minutes of baking and then came back after 20 mins. i had no choice but to keep the cake in the oven. 11. cool the mawa cake. then slice and serve it. 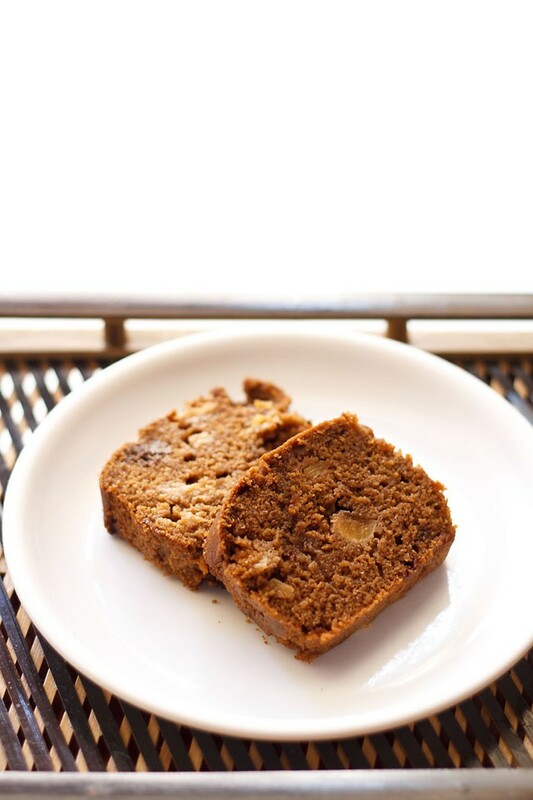 you can also refrigerate the mawa cake and just microwave for some seconds before serving. this cake is enough to be also made for birthday parties or any party. update: reader sushma has been kind enough to share that this mawa cake can be made in the pressure cooker. sushma made the cake twice and the time taken to bake is from 30 to 40 minutes.